We have introduced the Vape ghost inhale tricks, it’s a very simple trick. End of this article, you will find that Vape Waterfall Trick also a simple vape trick. Frist of all, this article is summarized several Vape Waterfall Trick posts. This is not original by Wellon ecig experts, but we really don’t know the author, so we note that part content from the internet. Vape Waterfall Trick is difference with vape dragon trick. This impressive vape trick is not that hard to master. This trick is a fun science experiment you can do at home. The waterfall is like having your own personal vape cloud trapped in a bottle. You will feel like a real life wizard after you do this. To know the working theory of Vape waterfall trick, can help your practice your own vape waterfall. The waterfall is a great Vape trick which basically turns Vape into a heavy and fun water-like substance. The waterfall can be achieved by incorporating a bottle that has frozen water on the bottom. You’ll need a bottle with some frozen water in the bottom. Get an empty water bottle and slowly blow your vapour into it. Once the bottle is full you can pour it out and you have your very own vape waterfall. Slowly blow your vapour into it, then pour it out. The vapour falls out like a slow waterfall. As you take a drag, blow it into the bottle and slowly pour it out. This trick is pretty simple and doesn’t require any skill whatsoever. 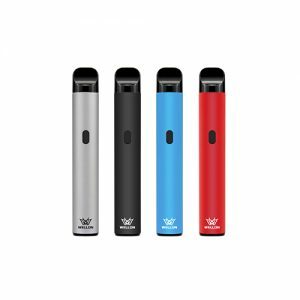 If you have any question about vape waterfall, please do not hesitate to contact Wellon e-cig experts.